The air is crisp and cool, pumpkins are decorating porches, and apple cider is everywhere. Halloween is right around the corner, and Bottiglia will be celebrating in a big way. As you get ready for Halloween, we have everything you need to know about the best candies to buy, the most popular kids’ costumes this year, and a great way that you can get the whole family in the Halloween spirit at our special Halloween Kids’ Brunch. Because peanut allergies are so common, it’s a good idea to avoid handing out any candies that include peanuts (as popular as they may be). But you can also go one step further. The Teal Pumpkin Project is working to make Halloween safer for kids with allergies. The idea behind the project is that if you have non-food treats available for trick-or-treaters, like small toys, you can put a teal pumpkin on your porch to signal that you have these special treats available. It’s one way to make Halloween more inclusive of children with allergies that could otherwise limit their ability to safely participate in the holiday. In need of a great Halloween costume idea for your kids? A trip to the local costume store might give you some inspiration, but here are some ideas to help get you started, too. This year’s popular costumes include The Black Panther, the Incredibles family, dinosaurs inspired by Jurassic World’s recent release, and Mary Poppins, with the sequel’s release coming up in December. Of course, you also need to consider Paw Patrol characters, Wonder Woman, and even Super Mario’s made a resurgence in popularity. Additional options include characters from The Greatest Showman, too. Harry Potter characters will never go out of style, and neither will your kid’s favorite Star Wars characters. Superheroes are also always a hit, especially with the recent Avengers movie, and Disney Princesses are sure to always be a popular choice. Witches, ghosts, and vampires will never go out of style, plus they can be modified to be great for kids of all ages. Pirates, princesses, cowboys, and cowgirls are other great costumes, and you may even be able to make them up with items that you already have around the house. Regardless of what your kid wants to be for Halloween, be sure to choose a costume that’s safe. 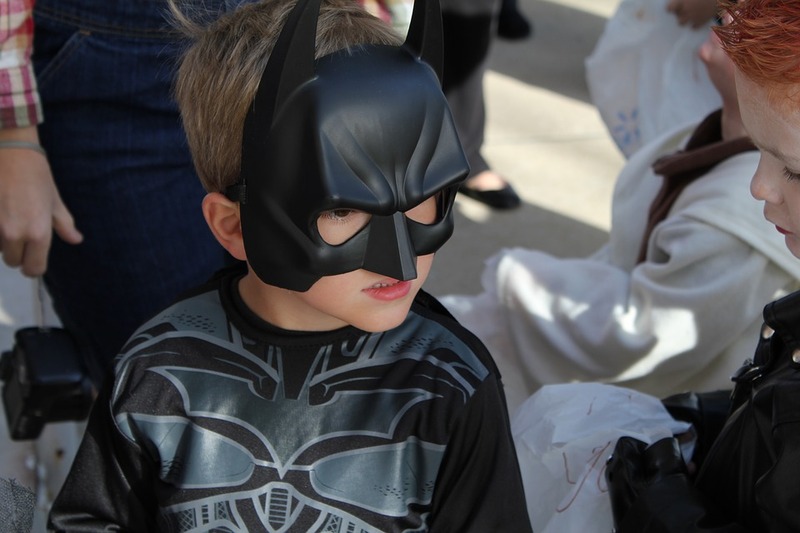 Masks need to fit correctly so that your child can easily see through them, and the costume should allow your child to walk normally and comfortably. Adding reflective strips to your child’s costume or Halloween bag can help to improve visibility, and be sure to carry flashlights with you and keep a close eye on traffic while you’re out trick-or-treating. Ready to get in the Halloween spirit? 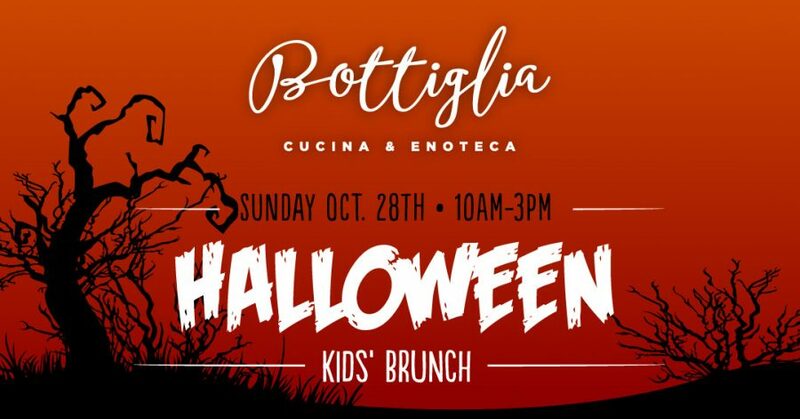 Then join us at Bottiglia on Sunday, October 28th for our special Halloween Kids’ Brunch. From 10 to 3, just $10 gets you a kids’ brunch menu item and participation in our plug-in pumpkin decorating craft. You’ll head home with pumpkins ready to decorate your house with, plus you can take advantage of our special hour – when you buy 3 hours at Kids Quest, you’ll get 1 hour free. While your kids are decorating their pumpkins, enjoy a delicious dish from our Brunch Menu. Our French Toast with blackberries and bourbon maple syrup is perfect for fall, as are our pancakes with cinnamon butter and bourbon maple syrup. Our Spinach Lasagna, Chicken Panini, and Chicken Parm are also popular choices, though it’s hard to go wrong with any dish that you might choose. 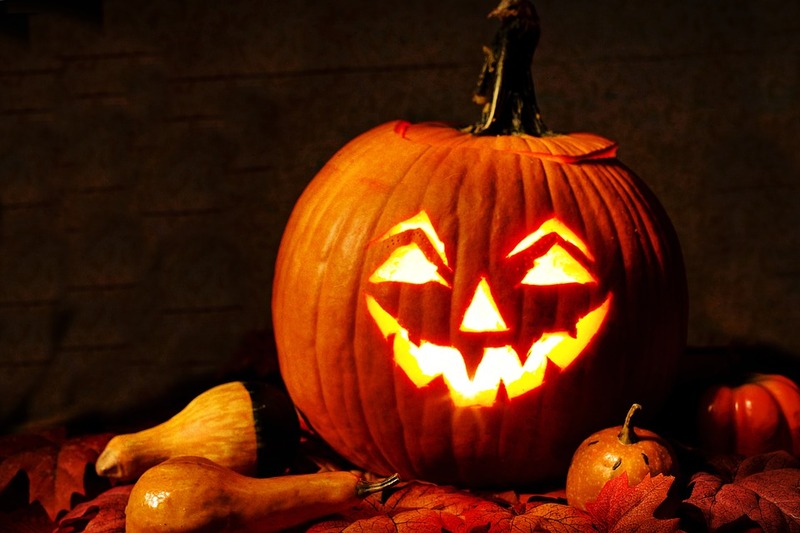 We at Bottiglia wish you and your kids a happy, fun-filled, and safe Halloween!